CALLING ALL CARIBBEAN AND AFRICAN FOLKS!!! 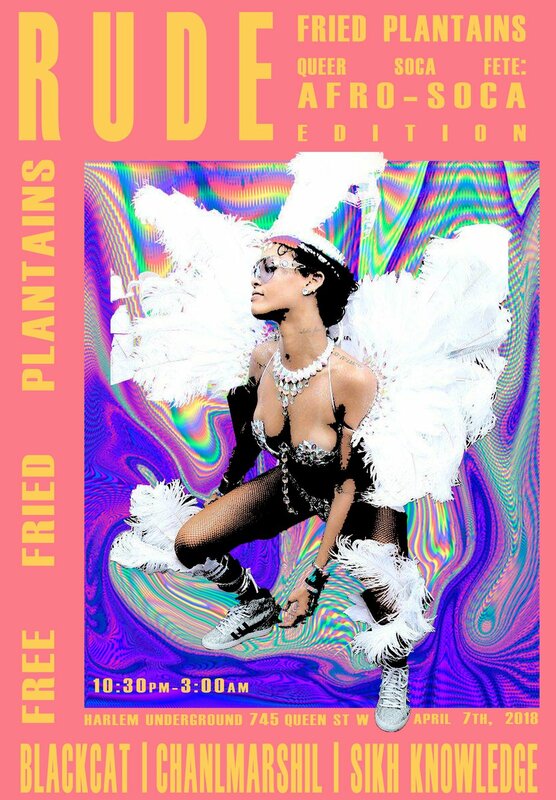 Fried Plantains Queer Soca Fete is BACCCK. Come buss ah wine. Bubble on a DJ and do the Azonto.